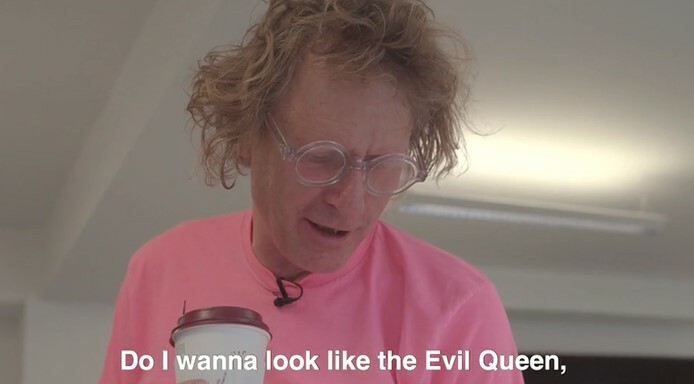 UAL has released the official film of The Making of Grayson’s Robes – an inside look at the drama behind the design that went into crafting Turner Prize-winner, Grayson Perry’s 2018 UAL Chancellor robes. The film follows Grayson, as he pores over hundreds of eclectic designs submitted from UAL students, vying to top last year’s crowing graduation robes. Previously open only to fashion design students – this year’s competition saw applications from students studying all disciplines, across UAL’s six renowned Colleges. 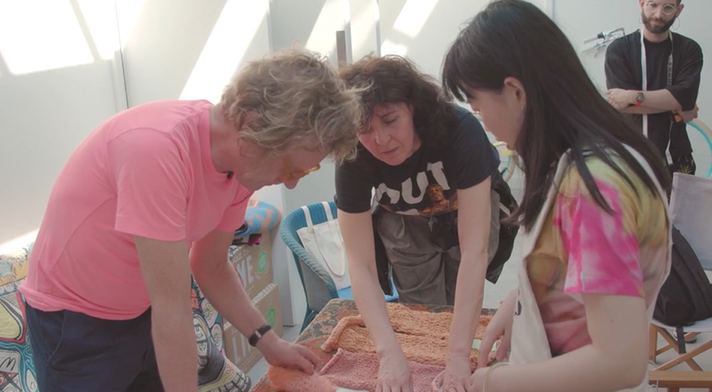 Go behind the scenes in Grayson’s personal studio, as winning London College of Fashion BA (Hons) Fashion Textile: Knit student, Yuxuan Yang, is joined by over 90 makers to help transform a simple drawing, into a couture work of art. Battling against the clock to complete the gown ahead of UAL’s Graduation ceremonies – watch how the team assembles ‘beading parties’ and tackle textile challenges, all the while working around the clock, as tensions mount. Culminating in over 600 hours of labour, see how the final statement gown and head-piece is created – featuring 220,000 beads, each meticulously hand stitched over six kilos of pink lurex.